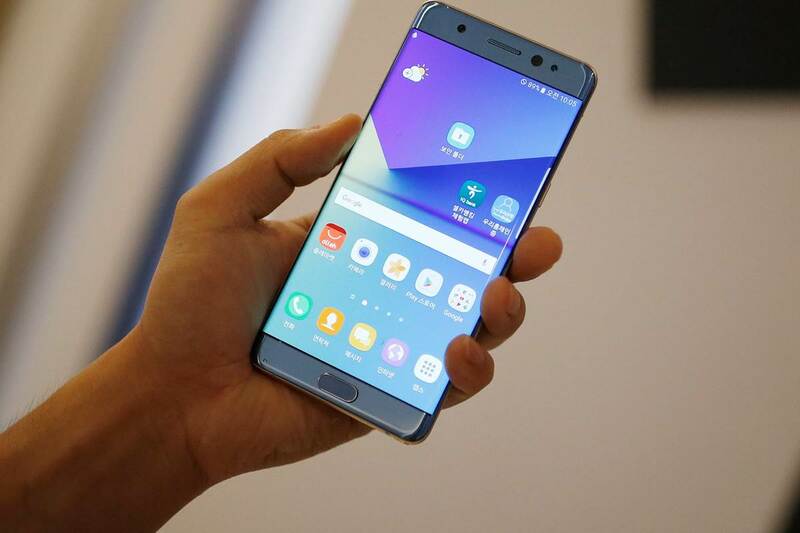 With the new Galaxy Note 7, Samsung has been able to generate a massive buzz in the world of larger smartphones. Due to the great design and innovative features, the device is considered as one of the major contenders for the title of the best smartphone of this year. In this article, you will find the detailed review of the latest Samsung Galaxy Note. The Galaxy Note 7 is the very first Samsung phablet to feature only the option of a dual-curved-edge display. That means, the flat version has been ditched. More importantly, the plastic disguised as metal has been ditched. As a result, the premium appearance and feeling have been enhanced significantly. And it feels really comfortable to hold. So, we do not have any complain regarding its design. Having an extremely high pixel density of 518 ppi, the 5.7-inch Super AMOLED display can stun anyone with its razor sharp view. The blacks look darker and the colors look incredibly vibrant. It is the brightest smartphone on the market. You will have no issue looking at it at the direct sunlight. Overall, the display of the latest Samsung Galaxy Note is the best one in its class. The 12-MP primary camera is super-fast to open. You might be a disappointed with the decrement of the mega pixel range. But in reality, it is able to capture much better photos than its predecessor. Thanks to the dual-pixel technology. The rear shooter comes with a wide aperture of f/1.7, which allows it to let in more light. As a result, it can capture stunning shots even in the low light condition. The color accuracy of the captured image is simply amazing. You will be blown away by the amount of details covered in every photo. The latest Samsung Galaxy Note also has a 5-MP secondary camera. It’s good, but it’s not as mind blowing as its counterpart. Similar to the Galaxy S7, the Galaxy Note 7 has been packed with the Exynos 8890 octa-core processor, 4 GB RAM and Mali-T880MP8 GPU. With such a high end hardware, it can operate at a blazing pace. Apps are opened instantly. The games run with a stunning graphics. We haven’t noticed any slowdown in the animation. In the Geekbench 3 multi-core test, it scores 5,294 points, which is on par with all the flagship smartphones of this year. In the 3DMark Sling Shot test, it scores 2,139 points, which clearly proves its solid graphics performance. Having an outstanding endurance rating of 90 hours, the 3500 mAh battery is considered as the most powerful phablet battery of this year. If you watch Netflix videos for an hour, only 8-9% of the charge will be consumed. While playing 3D games, only 10% charge is dropped. The battery takes only 92 minutes to be fully charged. Thanks to the fast battery charging technology. Without any doubt, the latest Samsung Galaxy Note is the best phablet that we have seen till now in 2016. But to have such an outstanding device, you will have to spend a lot of your money. It has been tagged with a very high price of $898. But if you have the budget, you should definitely go for it, as it is the best option for you in the current market. This is the end of our review. Keep in touch with us to know all the updates about the latest Samsung Galaxy Note.